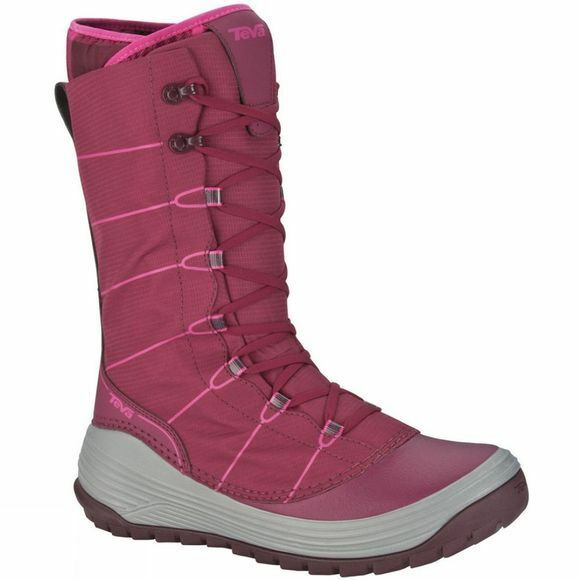 The Teva Women's Jordanelle boots are designed to provide warmth without the weight. Built with 250g of low loft Thinsulate, the Jordanelle comes with a removable liner and waterproof shell materials. Compressing down to the size of any normal shoe, this boot is easily transported and feels like a sweater for your feet. A must have addition to your winter wardrobe.